A posterior capsulotomy is a non-invasive laser procedure to eliminate the cloudiness that occasionally interferes with a patient's vision after cataract surgery . 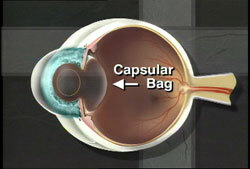 In modern cataract surgery, the cataract is removed, but a thin membrane that held the cataract is left in place to hold the implanted artificial lens.Leaving the capsule in place during cataract surgery is a great advancement because it allows the vision after surgery to be more stable and ensures fewer surgical complications. However, sometimes the posterior or back portion of the capsule becomes cloudy over time. This can be resolved with a quick laser procedure. Once you have been checked-in you will be seated at the laser machine with your chin resting on the laser chinrest. Without the need for any anesthesia, Doctor Shapiro will use a short YAG laser pulse to painlessly create an opening in the center of the cloudy capsule. The opening allows clear passage of the light rays and eliminates the cloudiness that was interfering with your vision. 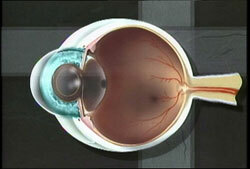 The entire procedure takes only a few seconds and you can leave soon afterward. The results of the procedure are almost immediate, however your vision will probably be a little blurry from the drops so someone will need to drive you home. Doctor Shapiro will prescribe anti-inflammatory drops for you to use for a few days following the procedure. Most patients resume their normal activities immediately.